The name is a call to positivity and cooperation, as our collective aims to truly build a community in addition to providing space for performance. When we say yes to each other, it’s pretty amazing to see what can happen. Trinity Tibe and Nicole Basta are co-founders, and continue to run the series. They are both Brooklyn-based poets. The series typically includes 3-4 writers, 3 musicians, a comedian, and a performance artist or dancer of some kind (some artists also collaborate). Sets are 6 minutes long with an intermission in the middle. After the regular-length sets, we then feature a band, followed by a DJ. 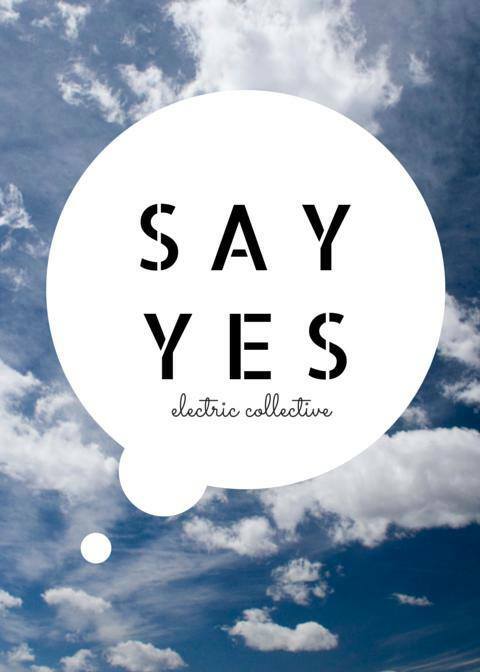 Say Yes currently takes place on a large rooftop in Prospect Heights, Brooklyn. In the winter months, we will seek a large indoor space. Say Yes occurs once per month. We also host informal work spaces. Say Yes began in May 2015 and plans to continue indefinitely. Usually people who attend Say Yes message us through Facebook and ask to perform. Our goal is to encourage artists by creating a space for performances, collaboration, and support. We appreciate and promote diversity. New York is full of opportunity, but often it’s hard to find a welcoming community of like-minded artists. Say Yes not only creates a performance space, we also have community-building work shops that allow people to come together in the creation of art. Everyone who attends Say Yes says it is warmer and more welcoming than anything they’ve attended in New York. The crowds grow tremendously with each passing event. Say Yes believes in inclusion, in the parts of us creating something that is truly whole. The next Say Yes reading is scheduled for Saturday, September 12, 2015, at 9 p.m., at 1013 Pacific Street and features Liz Magee, Quinton Counts, Walker Smart, Fancy Face, Vienna Rose, Revi Roza, GHOST RODEO and More.